Mario is Missing! 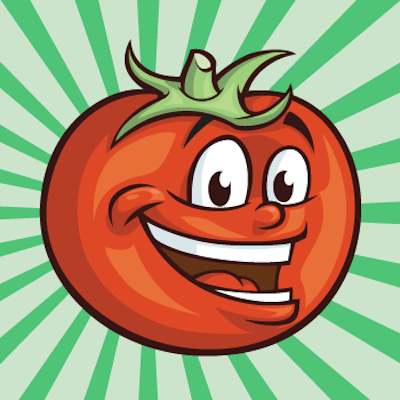 was an educational game released for the NES, Super NES, DOS, and Macintosh computers back in the 1990s. 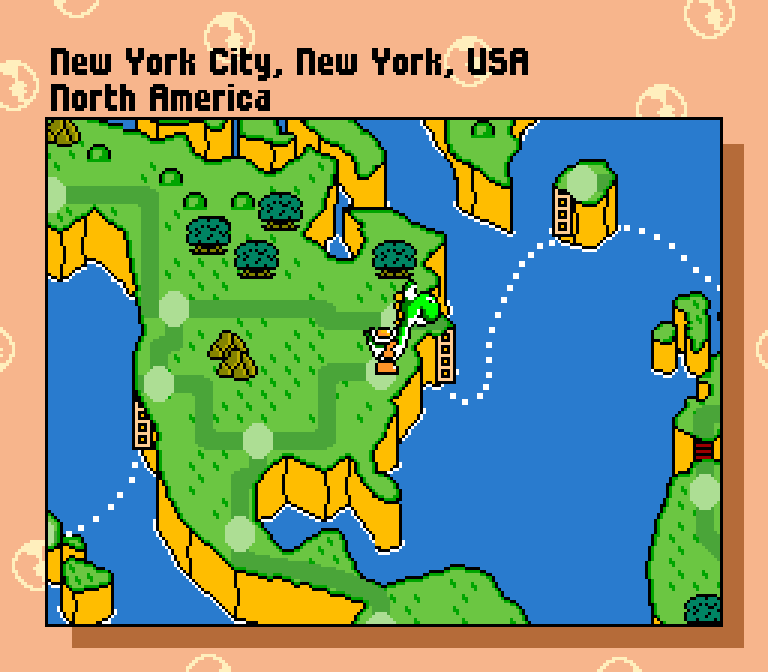 The game’s combination of Super Mario World characters and bland geography edutainment made it a bizarre addition to the Mario series. Even so, there was a big marketing push behind it, and it grabbed a lot of attention when it was released. Full-page advertisement for Mario is Missing! 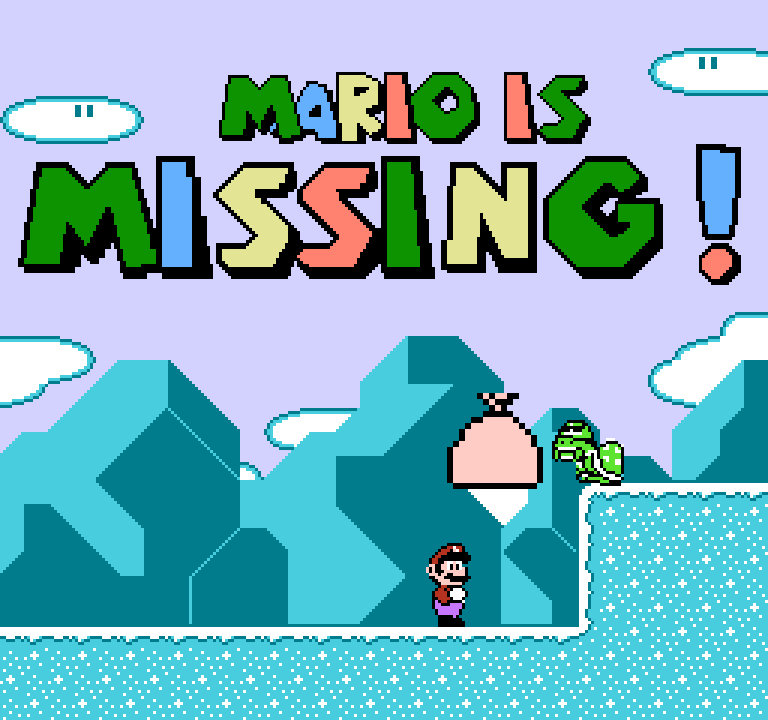 Promotional campaign centered around Mario is Missing! 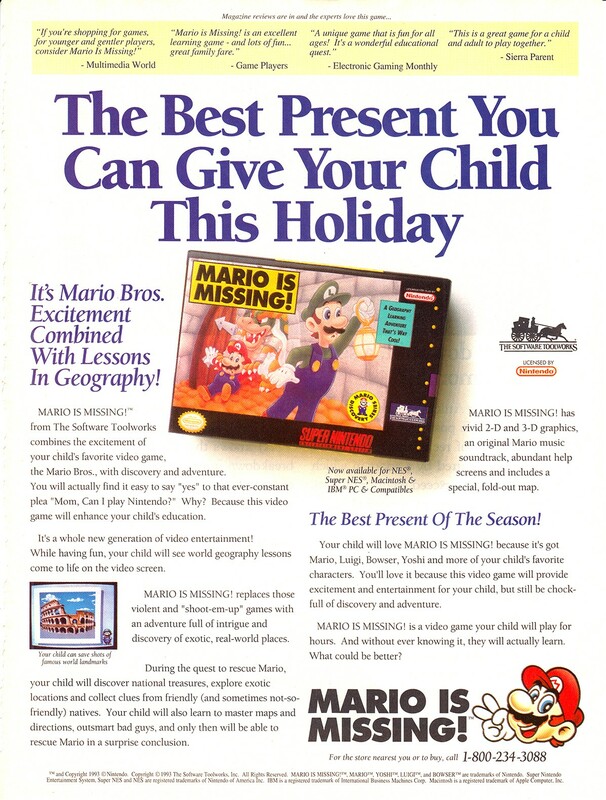 But the strangest thing was that Nintendo had nothing to do with Mario is Missing! . Instead, it was handled entirely by an unrelated American company that managed to get the Mario license. The game got surprisingly decent reviews when it was released, but fans today consider it one of the disappointing Mario games of all time. Just imagine the excitement of getting a brand new Super NES Mario game... and then seeing this. Mario is Missing! was released in North America and Europe, but it never saw a translated release in Japan, where the Mario series was born. 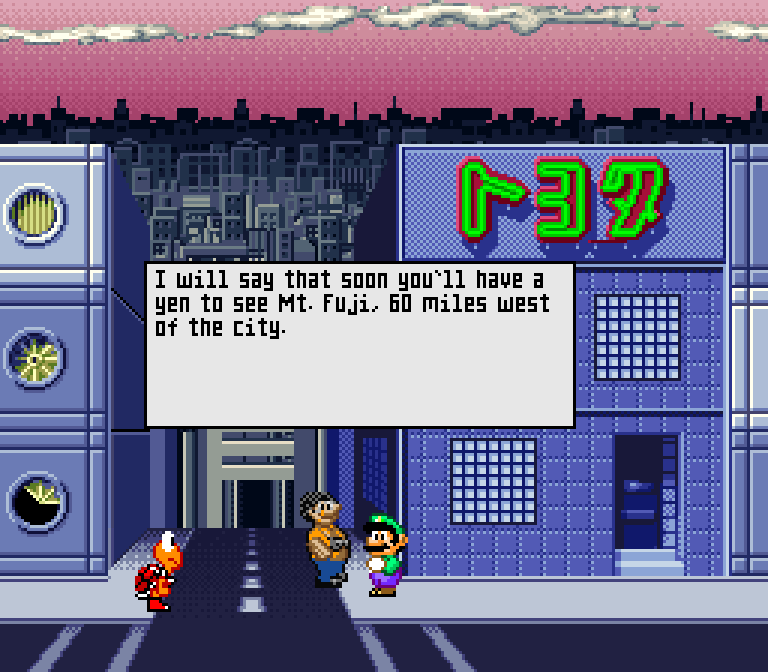 25 years have passed since the game’s release, so I decided to see what Japanese fans have to say about this mysterious Mario game. Below are random comments from Japanese social media, websites, videos, and message boards that I’ve translated into English. The results aren’t really surprising, but it’s nice to see how the game is seen outside its original audience. This kind of edutainment rots brains. I tried playing it one time but all I could do was walk around places. It’s nice that Luigi gets to be the main character at least. How did Nintendo give the OK for this to be made?? This is the crappiest game I’ve ever played – and will ever play – in my entire life. I’m not even sure how my dad got me the game. why did they make this??? Seriously, are these official games? I only figured out how to play the game thanks to the AVGN’s review. It’s nice that Luigi is the main character, but there was absolutely no need for him to be the main character at all. Fans of crappy games will love this for sure, but probably not in the way the developers intended. 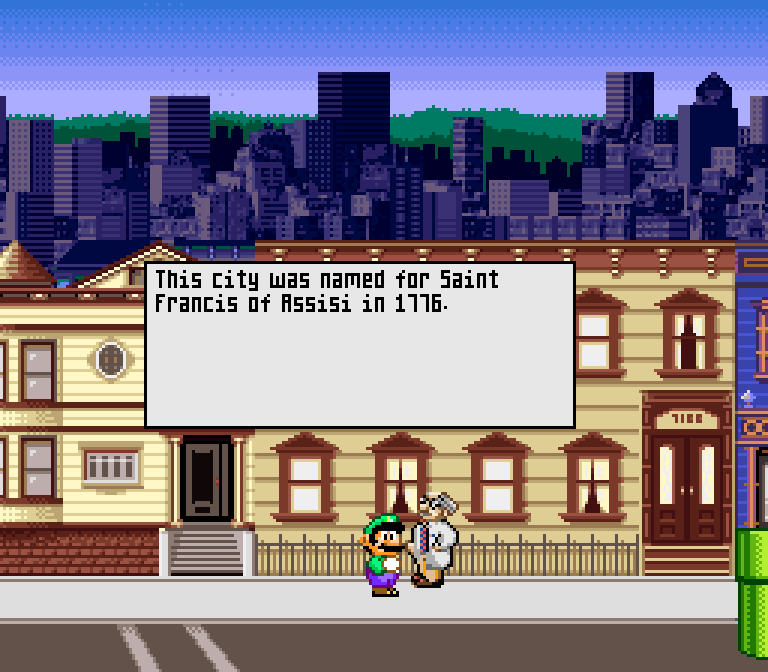 No one ever believed me that Luigi was the main character in a foreign Mario game!! How is this even educational? Why did they even make it a Mario game in the first place? It’s unclear why they needed to use Mario characters for this game in the first place. Is this really an official game? It totally looks like a bootleg. The towns you go to seem nothing like what they should look like. Why did they make this at all? 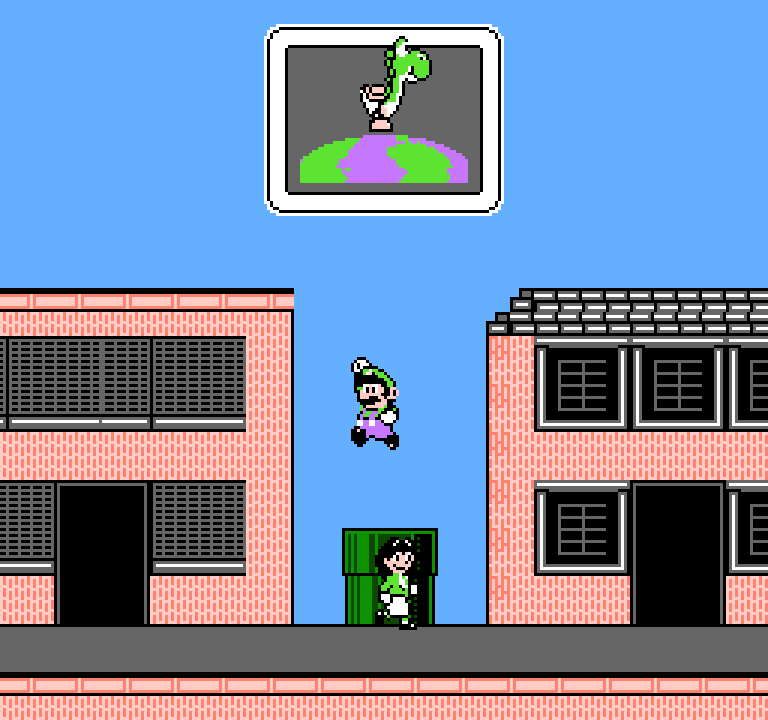 Does this count as Luigi’s first starring role if Nintendo didn’t produce or sell the game? The bland backgrounds and non-Mario-ness make it horrible to play. This is is some screwed up edutainment! 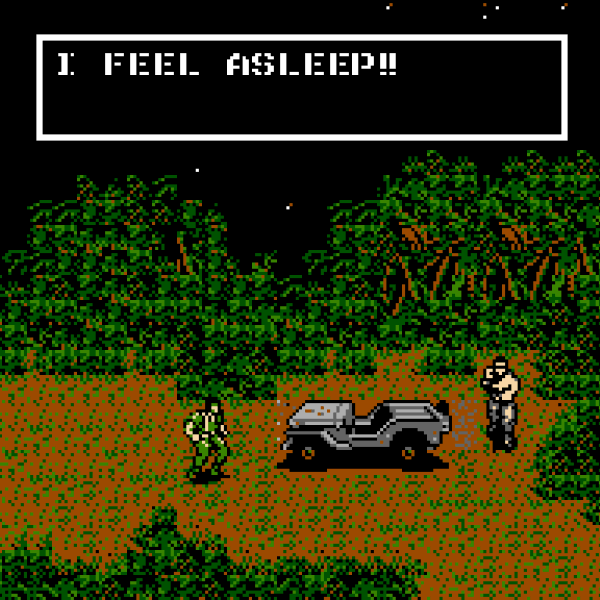 WHY did they remake it in 16-bit? Isn’t that the game where you see Bowser naked at the end? I first learned about Mario is Missing from the AVGN. 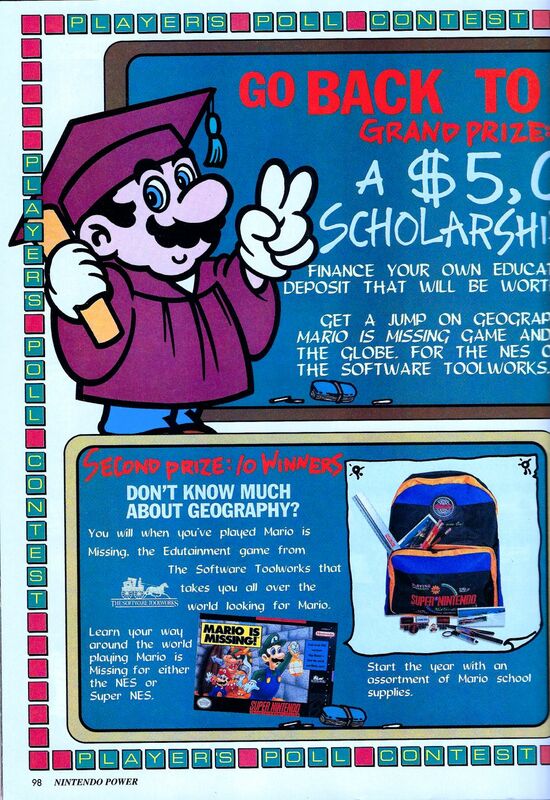 Apparently there were tons of edutainment games with Mario in it. I at least liked the calm music in the New York area or whatever it was. While looking for comments about Mario is Missing! I kept running into two other things. 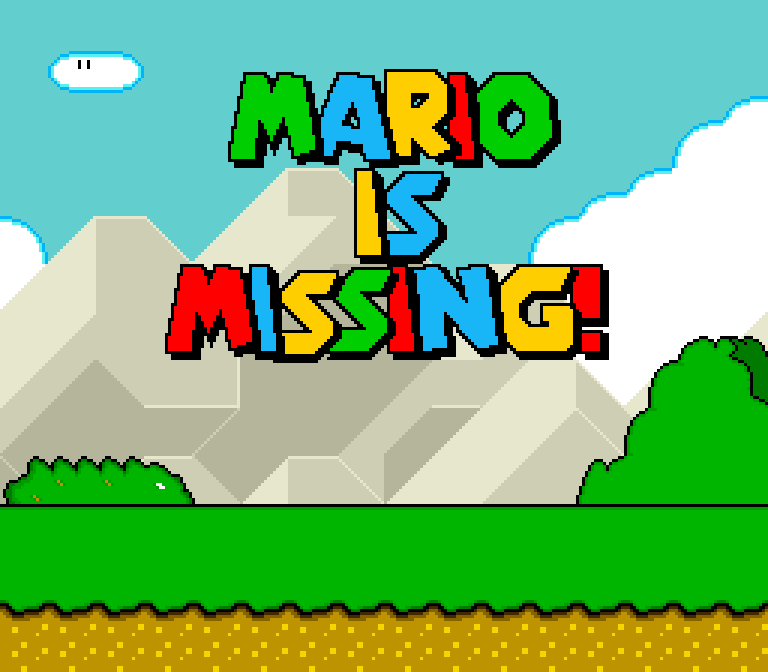 First, Japanese fans made lots of references to an adult game also known as “Mario is Missing”. I’m assuming it’s a Japanese fan game but didn’t feel like looking into it. 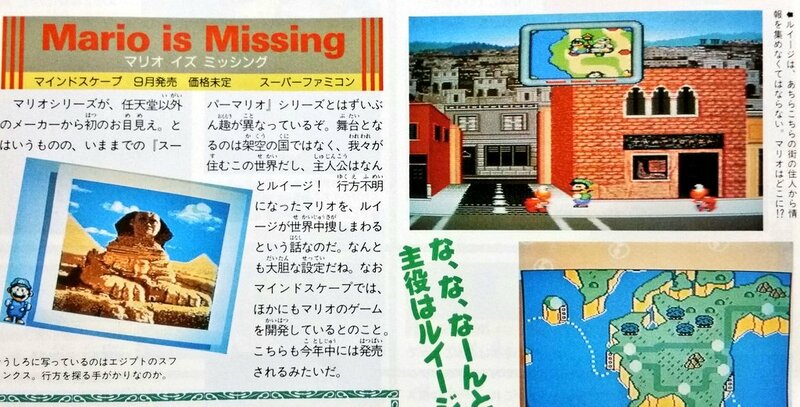 Second, when Super Mario Odyssey was first revealed, the whole “Mario runs around a city talking to people” aspect of the game reminded some Japanese fans that Mario is Missing! existed. What is this, a remake of Mario is Missing? Looks like they did a remake of Mario is Missing! The moment I saw the Mario Odyssey preview I thought of Mario is Missing. I can only pray it doesn’t wind up as crappy. It’s actually kind of surprising that Mario is Missing! is that well known in Japan, but I did come across some comments about how the game was featured in Japanese magazines back in the 1990s. It sounds like the Angry Video Game Nerd’s review also helped spread word about the game to Japanese fans. In all, the Japanese comments about Mario is Missing! aren’t anything surprising by themselves, but the fact there are comments at all is the real surprise. 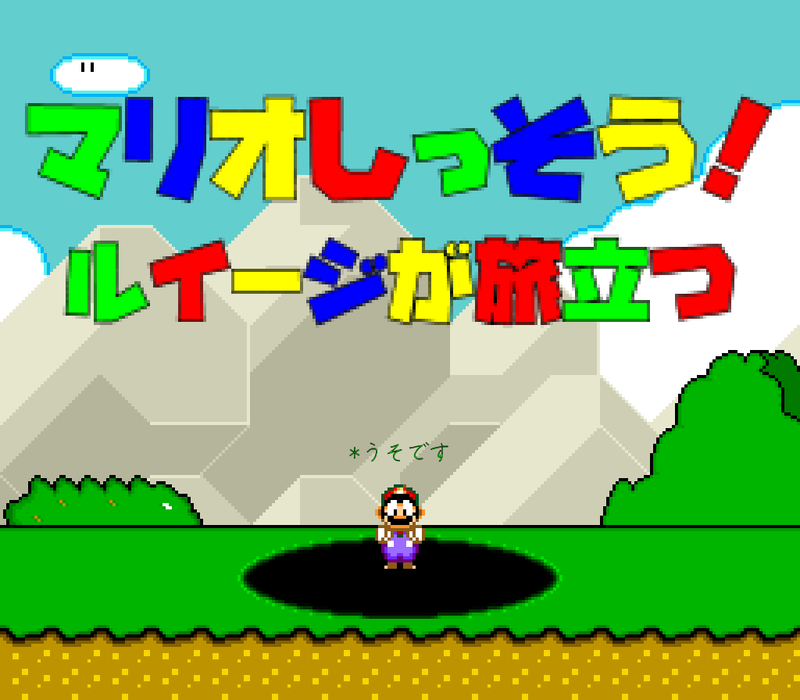 I’m also surprised that some diehard Mario fan hasn’t tried to translate the game into Japanese the way that we often translate obscure, not-very-good Japanese games into English. Or maybe I should be that crazy fan. If you found this article interesting or helpful and know someone else who's a Super Mario Bros. fan, let 'em know about this article. People rarely seek out localization articles, so sharing really helps me a lot! What Do Japanese Fans Think of the Super Mario Bros. Movie? The Super Mario movie has a poor reputation in America and elsewhere. But what about in Japan? That comment about pushing a person off a cliff was hilarious. When i saw that comment about being offended about Americans’ ignorant stereotypes of Japan, it made me think how lately i’ve been noticing a lot of Japanese media doing similarly offensive stereotypes of America, particularly ones involving cowboys and cheeseburgers. I’m sorry my ranch outfit and insatiable appetite for ground-up cow meat offends you. The only thing that offends me is that you’re not sharing. Cheeseburger me! 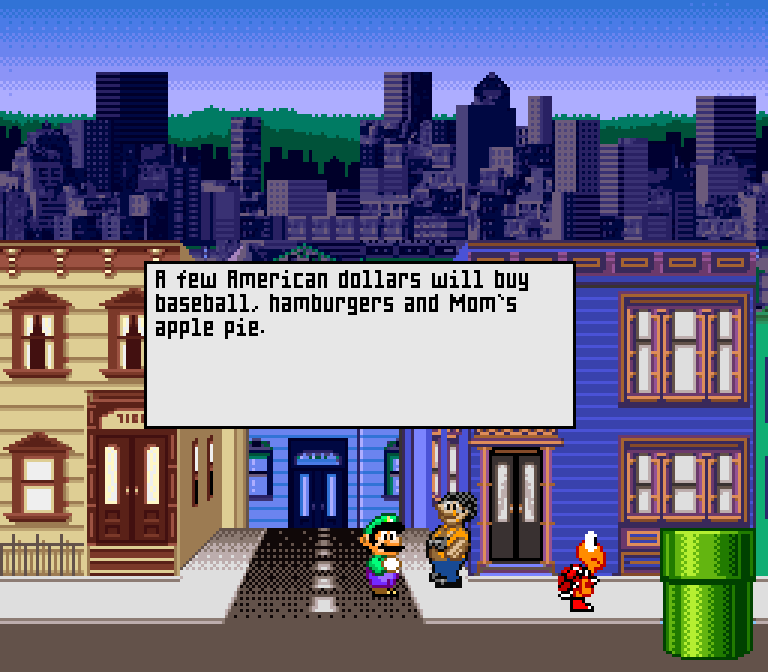 idk man, by the looks of it this game also has similarly offensive stereotypes of America. I didn’t get the feeling that the commenter was offended exactly (although maybe they were), more like surprised that an educational game is teaching lame stereotypes rather than actual proper stuff. Makes me curious what kind of video game rumours there were in Japan, whether there are/were well known Japanese game rumours and hoaxes similar to things like “Mew is under the truck in Pokemon Red and Blue” or “beat the running man in Zelda Ocarina of Time to get the Triforce” that a lot of English-speaking fans of those games are familiar with whether from having heard them back when they were first spread or them being discussed in retrospect. I’d assume there would likely be, so if so, I wonder what they are. “I dare someone to translate Mario is Missing! into Japanese” I dunno, iirc the dialogue was pretty cut and dry, this doesn’t seem like much of a dare, heck I could probably do an okay job by visiting Japanese Wikipedia a lot. Yeah, it’d definitely be more of a challenge to stay sane/motivated than about actual difficulty. 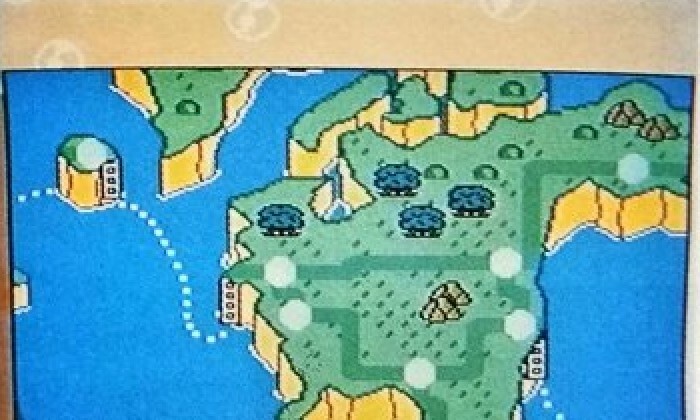 That Famitsu article uses an overworld screen shot from the SMW beta from 1989. 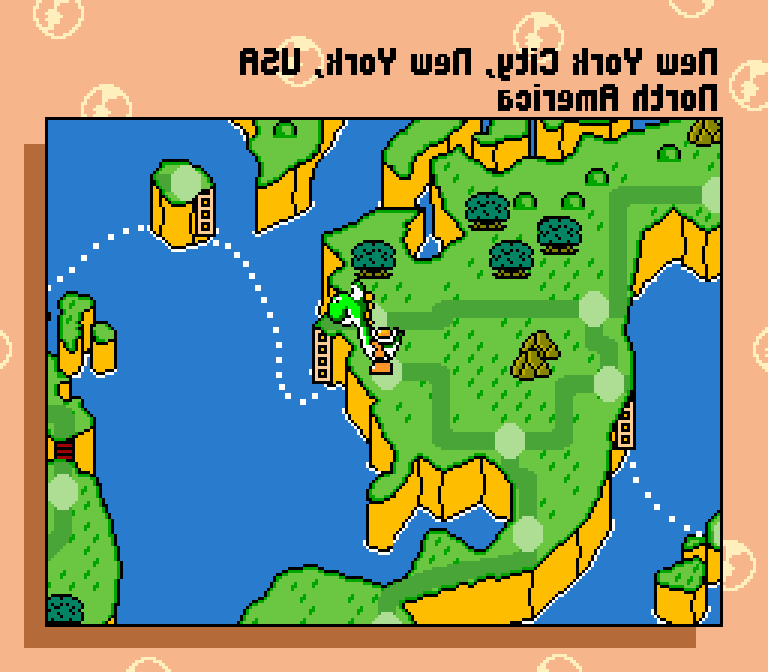 Obviously it’s because in japanese you read maps from right to left. Funny thing about the Odyssey comparison, I saw a post on Twitter with a similar sentiment, only it was about Mario’s Time Machine. Funny how that game doesn’t seem to be as well known. I think the main difference is that Mario’s Time Machine didn’t have any bizarre sprites to spawn long-lasting memes from in the 2000’s. I remember playing Mario is Missing on the SNES around when it came out. I had some fun with it, but it was surely nothing to write home about. Like a dumbed-down Where in the World is Carmen Sandiego with Luigi in it. I felt the same way as a kid. In fact, i still have my old SNES cartridge. I wonder if they had anything to say about the DOS version? I mean, I assume not, given the cultural differences surrounding PC gaming of the era, but it always struck me as the best (or at least least-awful) version of the game. At least one person in the comments knows about Weegee’s, err, Luigi’s unusual looking sprite. I could read English and I still did that when I played that as a kid. The ad was right though, I did play it hours. As in literally a few hours, when I rented it once. Nobody mentions its sequel though, Mario’s Time Machine. Probably because they weren’t going to be duped a second time. Supposedly that one is actually worse designed. “It must’ve been popular in American if it got so many versions released” No, it was that Mario was that popular they just shoved them all out at once I think. I’d imagine the idea of an officially licensed PC/Mac “Mario” game would’ve drawn some attention. It wasn’t even the only PC Mario game, either. When i was a kid, I had a “game” called Mario Teaches Typing. AVGN seems to have been pretty popular in Japan, huh? Comments about older games seem to refer to him often. Was he translated into Japanese or do they watch him in English? There are Japanese subtitled versions of the AVGN, yeah. Yep, I actually wrote a bunch of stuff about Japan and the AVGN here a long time ago! Mario’s Time Machine was the bomb, man. I still get nostalgic for it every now and then. I wonder if Japan knows about that one? I had the DOS version as a kid, and we never thought of it as anything other than “this is how a Mario computer game would be”. It’s a lot more polished than the console versions, with a lot more text and plot, and a lot more cities and artifacts. It’s also controlled entirely through a point-and-click interface, so the game never even remotely pretends to be a platformer, which probably made people feel less tricked. Speaking of AVGN, I used to love your articles about what the Japanese viewers thought of his videos! I know it’s been forever but I’d love to see more of them someday! Not like you ever have a spare minute though! I wonder if there are any comments on Mario’s Time Machine, now that this topic came up. I imagine that because there’s no follow up on the Time Machine comments, the game’s not as well-known as Mario is Missing. Speaking of that, has there been any articles about Japanese comments on Hotel Mario? A Mario game that wasn’t released in Japan? Wow… I have been educated!